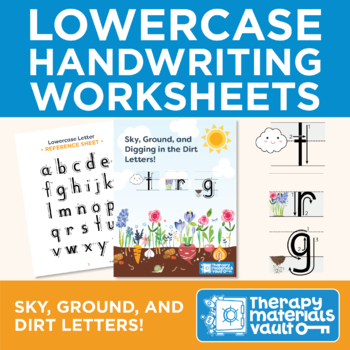 Handwriting Practice: Sky, Ground, and Digging in the Dirt Letters! 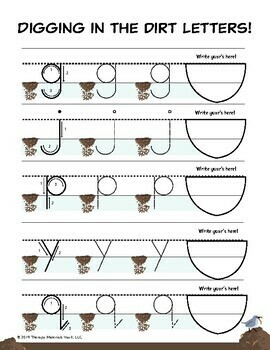 This activity provides children with helpful visual images to practice handwriting and overall print awareness. 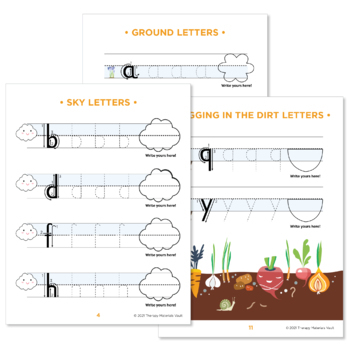 Letters are broken down into the following categories: sky, ground, and digging in the dirt. 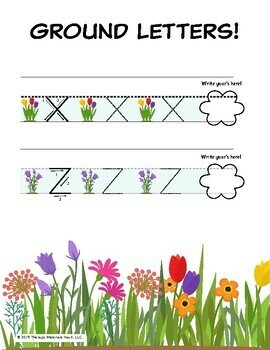 Visual images such as a cloud, garden, or roots are paired with letters to help children understand accurate formation in regards to handwriting lines. Nine pages of practice are included within this activity. This activity is ideal for individual, small, or large group sessions!